|| Description: Based off of the book “Little Quack”. Students trace and watercolor mama duck and the pond on a piece of paper, and watercolor 5 baby ducks on a separate paper. Afterwards, the pieces are laminated, and velcro is attached to the back of each baby duck and to the nest and pond. 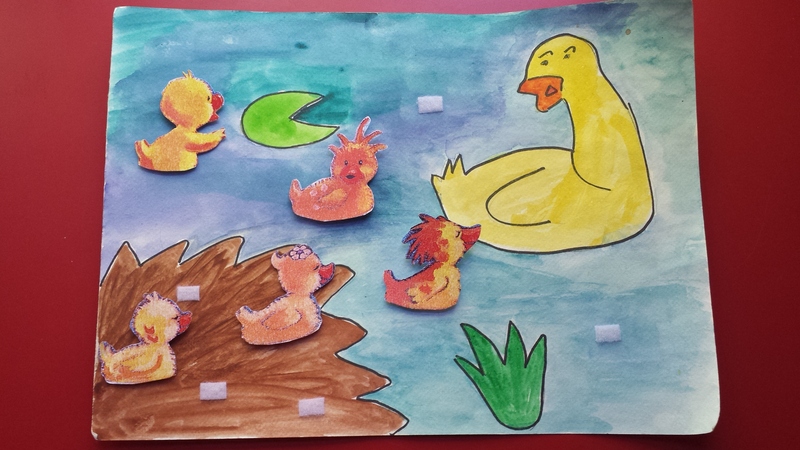 Students can attach and detach the baby ducks while counting them. This project reinforces what students have read, and serves as a learning tool for counting and basic mathematics throughout the school year. || Prerequisite: Students should have read “Little Quack”.